So here I am after about six weeks or so, into my ownership of a C4P 1.6 HDi VTR+ with the flappy paddle things. Maybe it's time I shared a few thoughts on what was a fairly large change from my previous car, a Mazda3 1.6 Activematic. 16th September 2007 For a start, I came into owning the C4P after two years in which I came to loathe my previous motor. Nice to look at and shiny when i got it, the shoddy quality interior and unpleasant rattle drove me mad in the end. as did bashing my head when I got in and out of it. The C4P has been a revelation. It looked pretty, and promised much when I collected it from Lythgoe in Bolton. Interior was both roomy and well-appointed, with a fit and finish that belied the occasionally poor Citroen reputation for not being everything they could be in build quality. I haven't been disappointed so far. For a mini MPV it handles beautifully. Not much in the way of body roll for a vehicle of its height, and much better than others such as the Meriva or soft-sprung Renaults. The harsh brakes are a problem but you learn to live with those as it's better to pull up fast than argue with a lamp post. I have spent most of the first month in a combination of motorway and town driving. Town driving can occasionally make the EGS gearbox a bit lumpy, but again it's something you adapt to. Using the paddles for an occasional faster shift works wonders in the smoothness stakes. However it's on the roads that begin with an M that the C4P comes into its own. That legendary Citroen attention to the suspension and engine mounts pays off hugely on motorways. The diesel growl quietens to a muted hum, and the balanced suspension helps eat up the miles. I've done Manchester to London four times and also a trip to Swansea, both journeys being much less taxing than in the old jalopy. Fuel economy is excellent for its size and will improve as it beds in further. Fifty mpg is easily attainable on a nice long run. So all in all, I'm happy with my new car and even cherish those quirky bits that make a Citroen what it is. Forget bland motoring. Well it's now two months almost, four thousand on the clock, Manchester to London again yesterday and not so much as a burp. The C4P's brakes also saved a number of lives yesterday when a white van almost broadsided me near Coventry at speed. I really don't think another MPV would have braked as cleanly or quickly with no stability loss, or got me out of what could have been a particularly brutal crash in fast traffic. It's exceptional as far as I'm concerned. Nothing. Nada. Not a chipolata. It is as reliable and fault-free as the day it came out of the factory, and that beats the "legendary quality" of Mazda hands down in my estimation. The only thing I could possibly point to is a tiny squeak that the offside wheel makes when manoeuvring slowly in traffic, and that is hardly grounds to reject it! As it is playing ball, it got a coat of posh polish the other day and is going to get a second one ready for winter. Bumping this along a bit, I'm now at three months in and five thousand on the clock. No faults whatsoever, and I've even been responsible for a couple more being bought! Some fellow hobbyists have traded in their motors for the C4P and all are equally happy. Mine has been a revelation so far, but it does seem to have a preference for Shell or other branded diesel. If I use supermarket stuff the MPG drops. No faults to report at all. Nothing particularly annoying (apart from the oft-discussed economy mode being a PITA at times) and it's still a top notch long distance cruiser despite only having the 1.6 engine. Just thought I would add to the thread with a report that is almost at the six month and 7,500 mile mark. Still as good as the day i got it. Yes there is that funny squeak that they all seem to make in reverse, but apart from that no problems at all. The only oddity I have noticed is that the EGS gearbox is a bit noisy when you are driving next to something that reflects sound, like a wall or crash barrier, at low speed. A definite clunk which I presume is due to the gearbox being close to the left wing. Here we are at 9 months and nothing much to report. I have noticed a serious discrepancy between the trip counters and the actual mileage. I have a feeling it is calibrated for different wheels as the Number 2 counter which I haven't reset since new is showing 7,000 or so whereas the actual mileage is now over 10,000. Odd that. 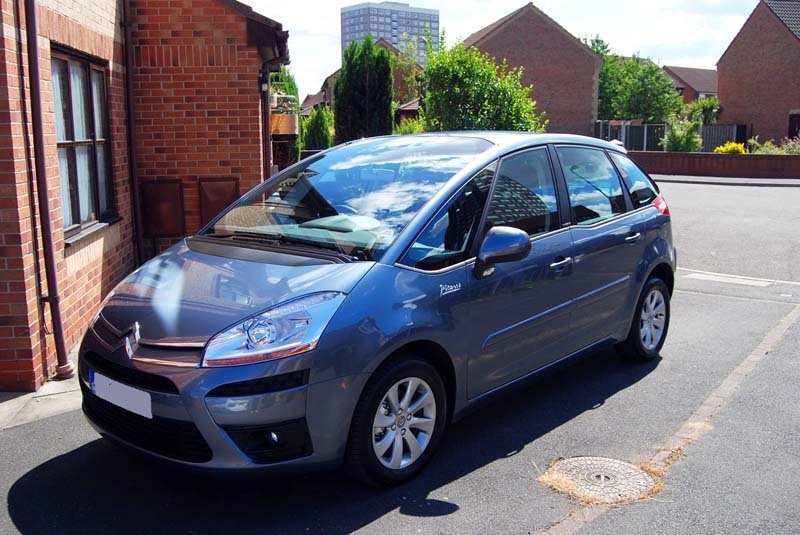 No faults whatsoever and Fifi is a happy little C4P who seems to enjoy being used more and more, with steadily improving MPG as the engine has become more relaxed and worn-in. Oil consumption is absolutely zero. All it does use is more washer fluid than previous cars but that's nothing I suppose. No rattles, no electrical faults, just a motor with some personality. 9th June 2008 Well here I am at 10 months, 12,000 miles and zero faults! Nothing, not a single thing has so much as worked loose or blown a fuse so far. Incredible. Reliability and value for money at its very best. Just booked it in for the 12k tickle up at Lythgoes in Wardley, Manchester who could do it in 2 days time with a courtesy car thrown in. Now with a certain Vauxhall dealership I used to use a courtesy car would cause uproar and a hefty wait! One other major plus for them is their service centre is fairly local to me, or I can take it to the dealership at Bolton. Open the glovebox if the handle has snapped?